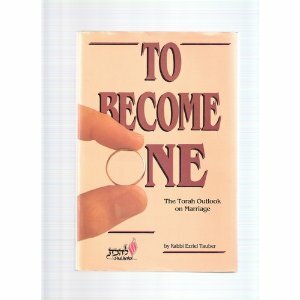 Expert Review of To Become One by Ezriel Tauber, one of our picks of the top Jewish books for kids! We believe that the most important thing a child needs to grow up happy, connected and well-adjusted is a parent who is happy, connected and well-adjusted. The secret to a successful marriage is contained in Genesis 2:24, and those who know the secret can improve their relationship with their spouse immediately. For over three decades, Rabbi Tauber has been counseling and helping couples, from newlyweds to those married for many years.